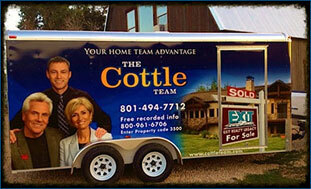 THE Cottle TEAM at Summit Sotheby's | Serving Summit and Wasatch Counties: Need Help Moving? Use Our Trailer for Free! Call us to reserve it for your next move! Use our trailer for your next move! We have a lot of experience with moving. We understand that it can be very stressful, both financially and logistically. This trailer is available for our clients to use so there is one less thing for them to worry about. If you have friends or family that need to use our trailer, we will let them use it too!